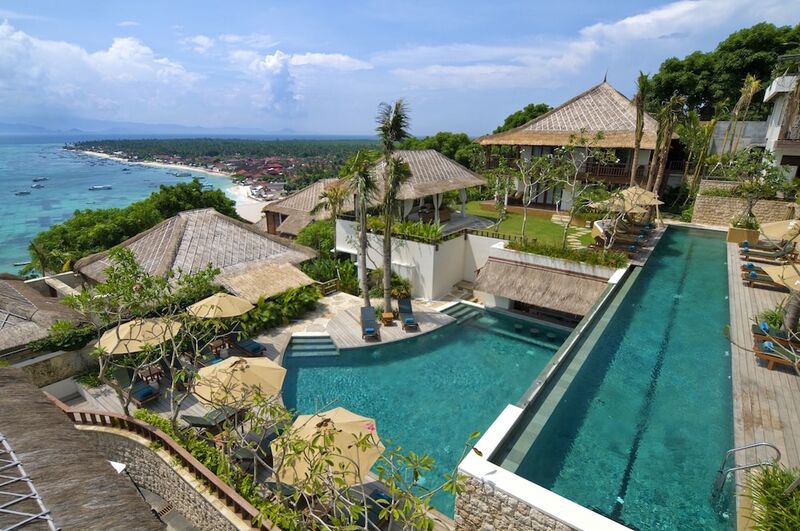 Located in Jungut Batu, this spa resort is within 1 mi (2 km) of Organic Lembongan Spa and Jungut Batu Beach. Blue Corner and Devil's Tear are also within 2 mi (3 km). This resort features 3 outdoor pools, a full-service spa, and a restaurant. Free full breakfast, free WiFi in public areas, and free self parking are also provided. Other amenities include 2 bars/lounges, a fitness center, and a swim-up bar. All 24 soundproofed rooms feature free WiFi and minibars. For a bit of entertainment, LCD TVs come with satellite channels, and guests will also appreciate thoughtful touches like bathrobes and slippers. Batu Karang Lembongan Resort & Spa features a full-service spa, 3 outdoor swimming pools, a steam room, and a fitness center. Dining options at the resort include a restaurant and a coffee shop/café. Guests can unwind with a drink at one of the resort's bars, which include 2 bars/lounges and a swim-up bar. Guests can enjoy a complimentary breakfast each morning. A computer station is located on site and wired and wireless Internet access is complimentary. Event facilities measuring 775 square feet (72 square meters) include a meeting room. This business-friendly resort also offers a library, tour/ticket assistance, and a garden. For a surcharge, a roundtrip airport shuttle during limited hours is offered to guests. Complimentary self parking is available on site. A complimentary full breakfast is served each morning between 7:30 AM and 11 AM. Muntigs Bar & Restaurant - This restaurant specializes in international cuisine and serves breakfast, lunch, and dinner. Guests can enjoy drinks at the bar. Open daily. The Deck Cafe & Bar - This Cafe specializes in international cuisine. Guests can enjoy drinks at the bar. Open daily. The Howff - This wine bar specializes in international cuisine. Open daily. Start your day with a free full breakfast, available daily from 7:30 AM to 11 AM. 3 outdoor swimming pools are on site along with a steam room and a fitness center. Guests can indulge in a pampering treatment at the resort's full-service spa, Lulur Day Spa. Services include facials, body scrubs, and manicures and pedicures. The spa is equipped with a spa tub. A variety of treatment therapies are provided, including aromatherapy. Rollaway/extra beds are available for IDR 700000.0 per night. Guests must transfer via boat and shuttle to the property. Guests must contact the property at least 48 hours before travel, using the contact information on the confirmation received after booking. This property offers transfers from the airport (surcharges may apply). Guests must contact the property with arrival details before travel, using the contact information on the booking confirmation. Reservations are required for massage services and spa treatments. Reservations can be made by contacting the resort prior to arrival, using the contact information on the booking confirmation.